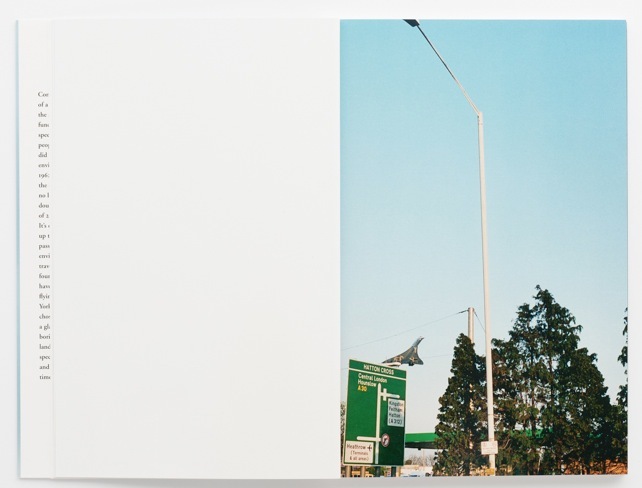 Book of the Week Book of the Week: A Pick by Christian Michael Filardo Christian Michael Filardo selects Concorde, by Wolfgang Tillmans as Book of the Week. 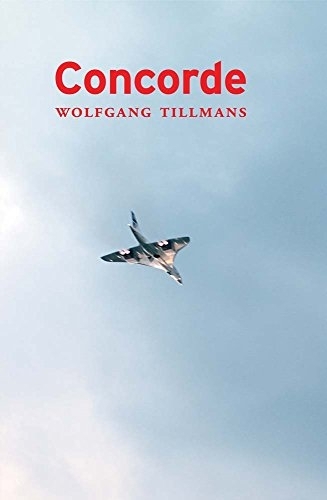 Christian Michael Filardo selects Concorde, by Wolfgang Tillmans, from Walther König, as Book of the Week. 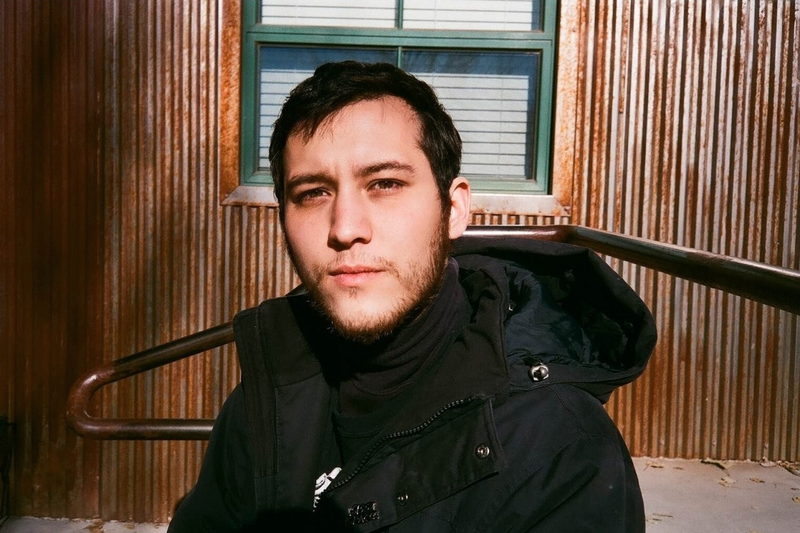 The first time I can recall actively becoming aware of Tillmans’ photographic work was when I saw his picture Dan at the Baltimore Museum of Art in 2015. I’d heard the whispers and hype. The vertical of the freckled red head shot from above towered over me, it must have been at least six feet tall. Working at Johns Hopkins I’d occasionally escape during lunch and find myself in the museum’s contemporary wing gazing up at Dan. Later that year I bumped into Tillmans’s work again at David Zwirner in New York while on tour. I can vividly remember taking pictures of people in front of a large image of a scrotum in the exhibition. I’d wait for people to stop and look at it and linger far enough away on my phone to steal moments with the ball-sack. Needless to say, I’m a fan of Tillmans’ work, a big fan. I’m even fond of his 2016 techno house single “Make It Up As You Go Along.” When I found out that Concorde was being reprinted I thought I’d take a shot at saying something about the contemporary classic. One of only two modes of supersonic transportation, the Concorde was an anomaly in the sky that stopped flying in 2003. Remarkably terrible for the environment and essentially a really fast sardine can that could go twice the speed of sound, the luxury aircraft was expensive to take and a rare collaboration between the French and the British. Sleek and beautiful, the Concorde appeared as the future slicing through the sky. A symbol of affluence, the Concorde was a short-lived dream that most people can only imagine experiencing. 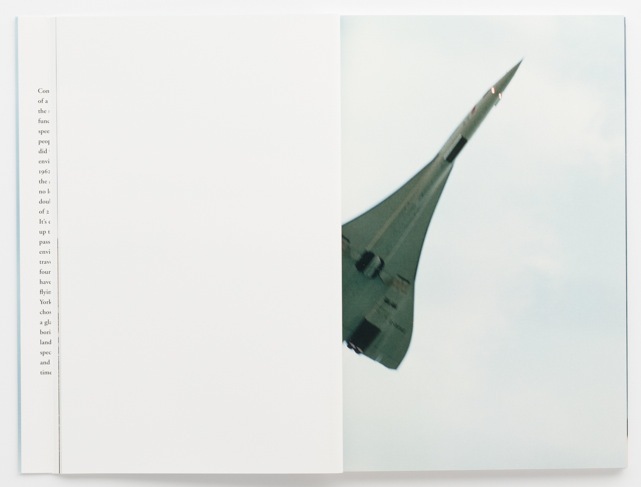 Tillmans’ Concorde images are often presented to the viewer in a grid so you can witness his compulsion and dedication to capturing those last ascents of a monolith in aviation. The Concorde is witnessed from a wide variety of places: decaying shacks, air fields in nowhere, from beyond barbwire fences. Strangely, the Concorde seems to become Tillmans’ friend; it seems like a reason to get up in the morning. I can almost imagine him thinking to himself, “time to wake up and go see the Concorde again.” The dedication feels gentle and sweet, like an archivist slaving away to preserve an ancient text. However, in this case, it's a “techno-utopian” invention as Tillmans refers to it. While the monograph isn’t all that different from the grid described above, I’ve found a few things particularly engaging about the book version of this work. Firstly, the pages are a nice sort of luxury type of glossy that make you imagine the speed of the Concorde breaking the sound barrier. In addition, the book is easy to flip through and almost feels like a flip book at times, an animation of the ascent and descent of the winged marvel. Lastly, it encapsulates a contemporary conceptual work that I’m sure most artists wish they made. Concorde is a testament to Tillmans’ ability to create something both beautiful and conceptually mythical! Now in its fifth edition, Concorde is a requirement for any decent photobook library. If you skip this one, you’re making a massive mistake. Concorde. By Wolfgang Tillmans. Walther König, 2017.